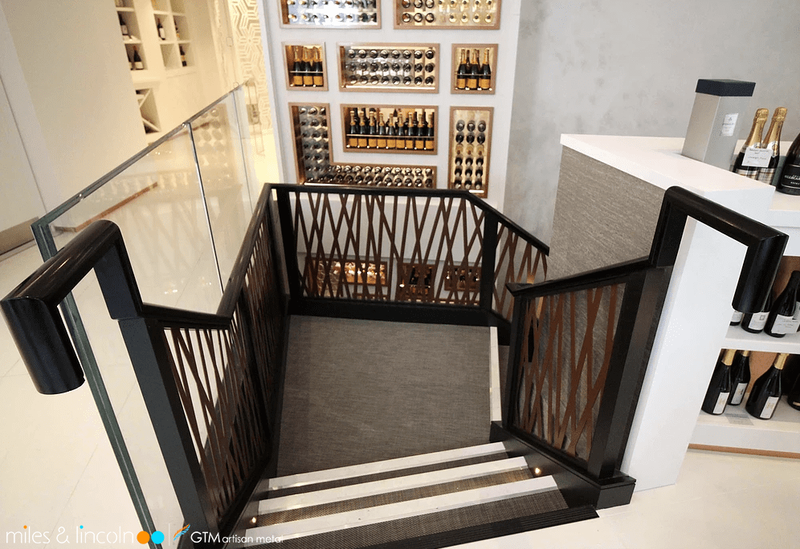 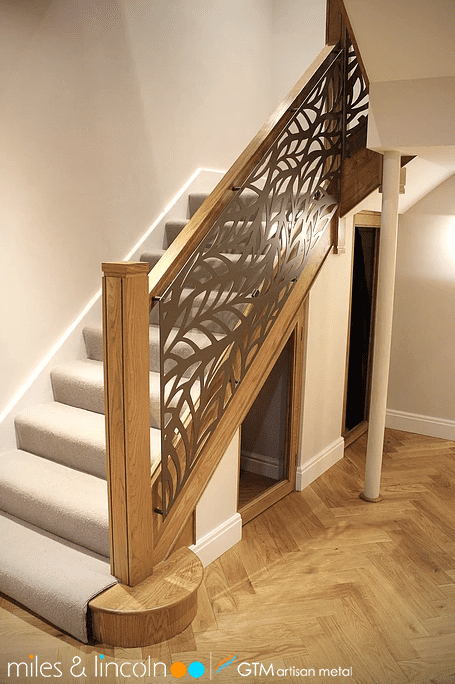 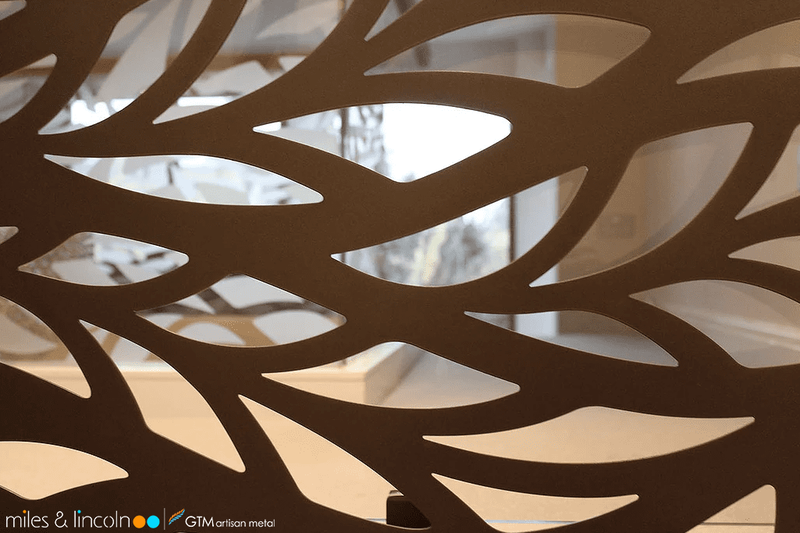 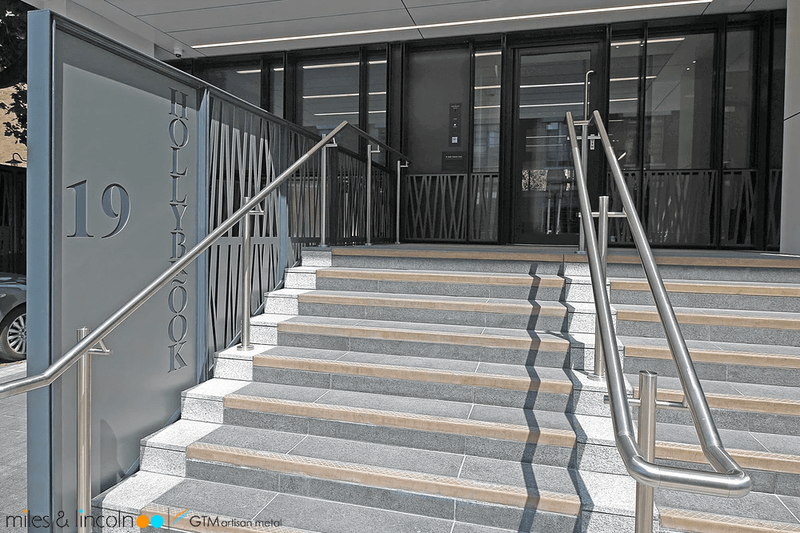 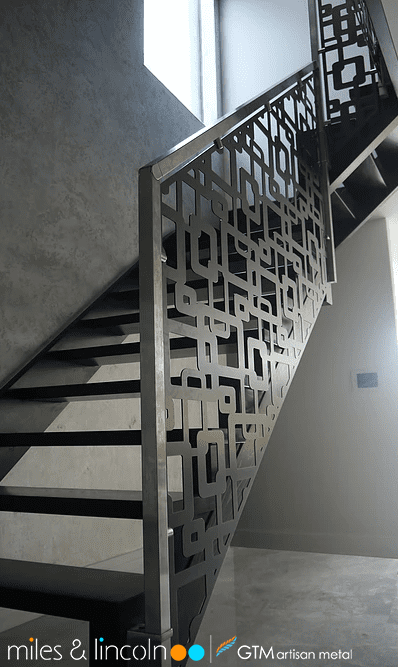 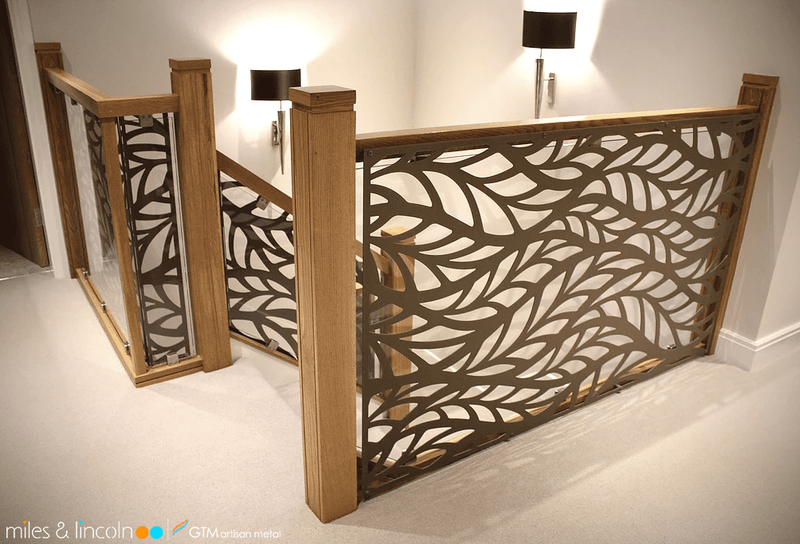 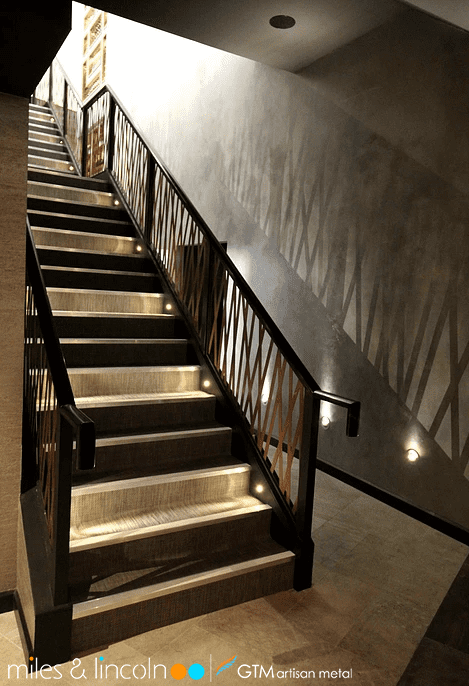 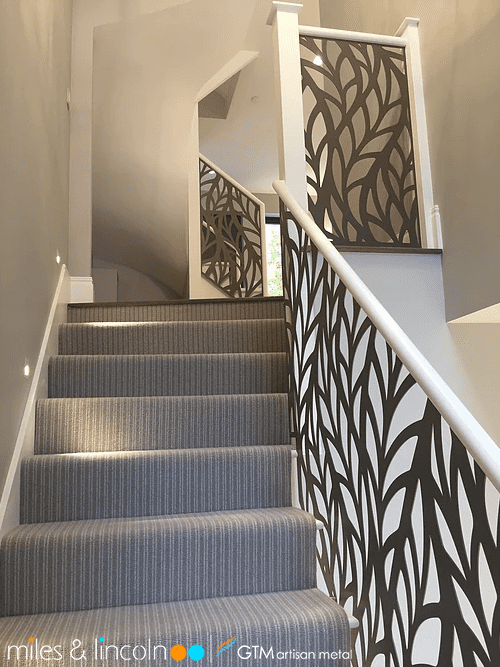 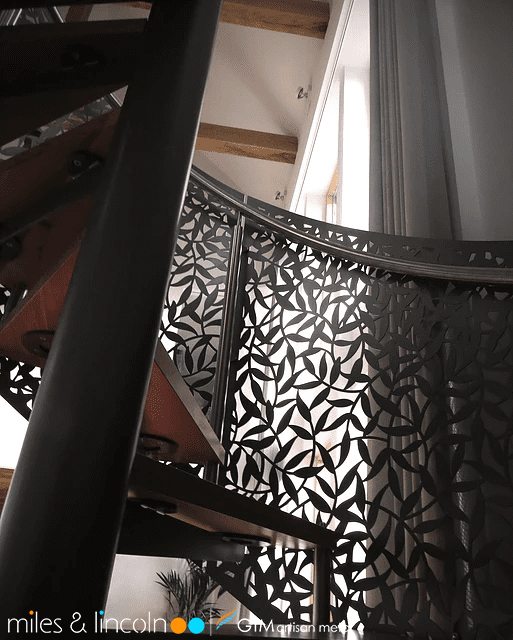 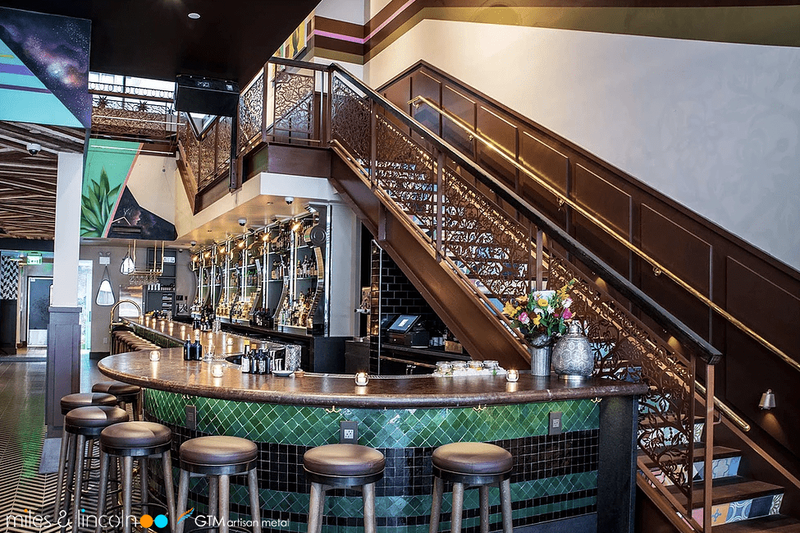 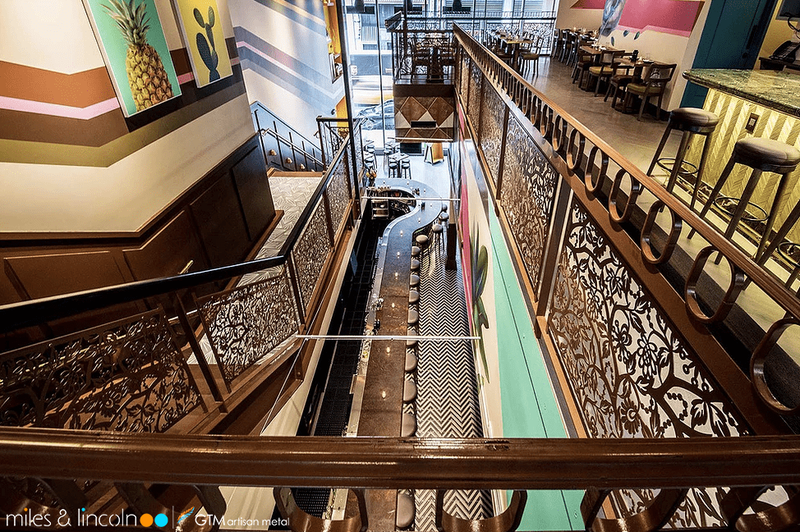 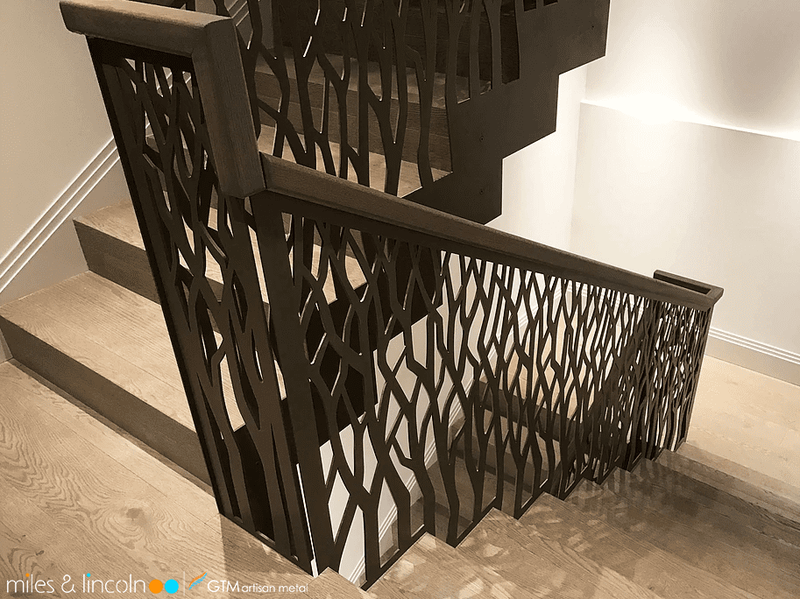 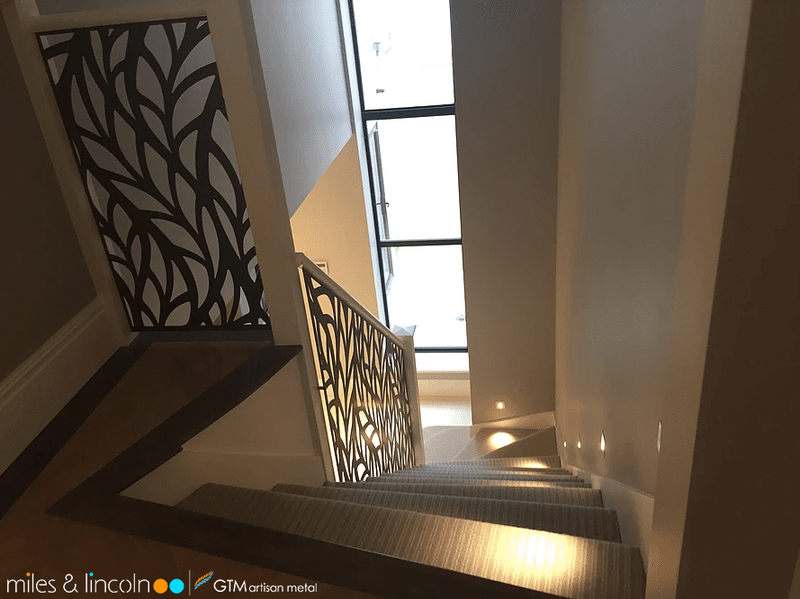 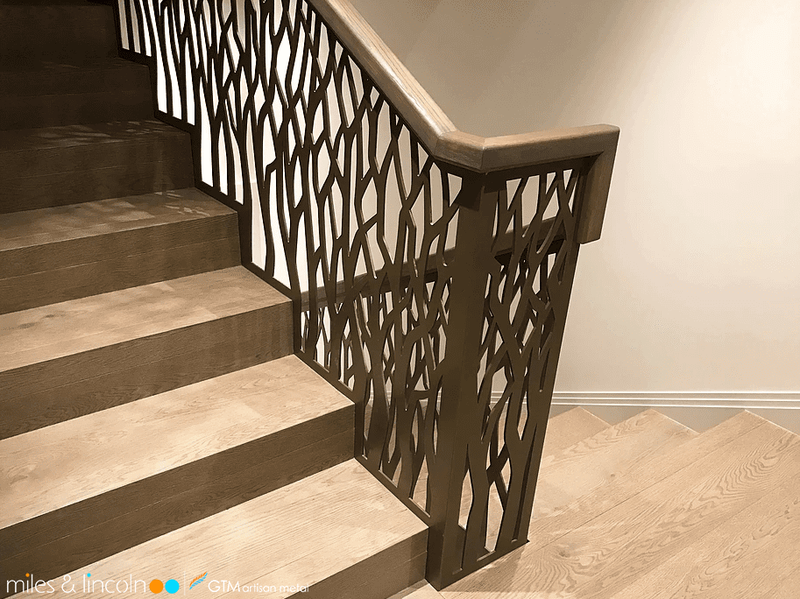 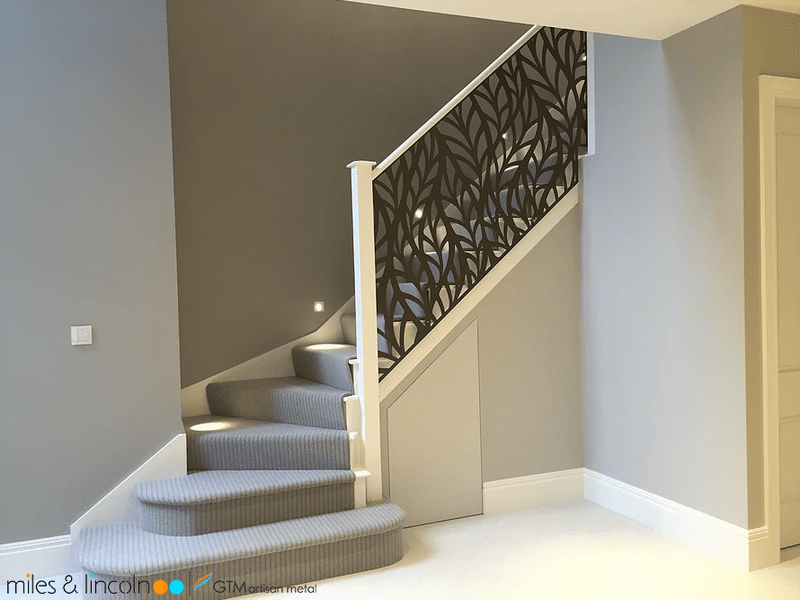 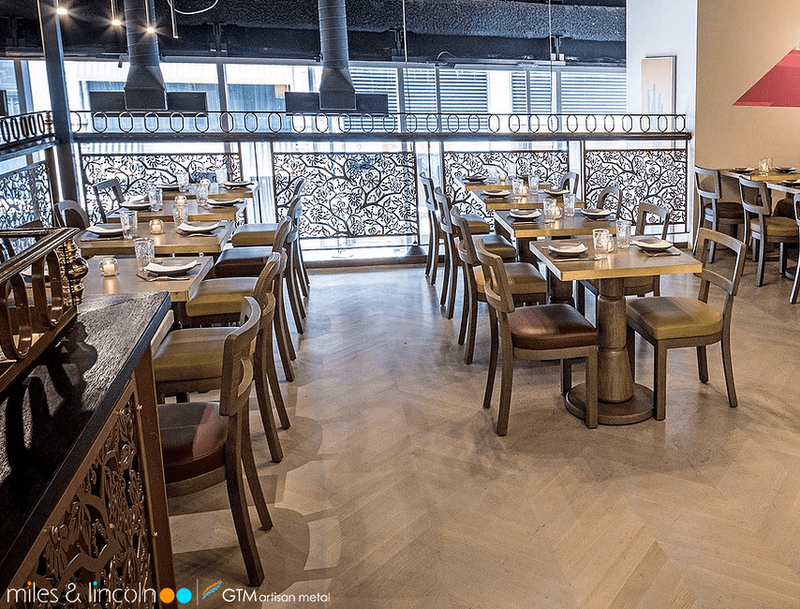 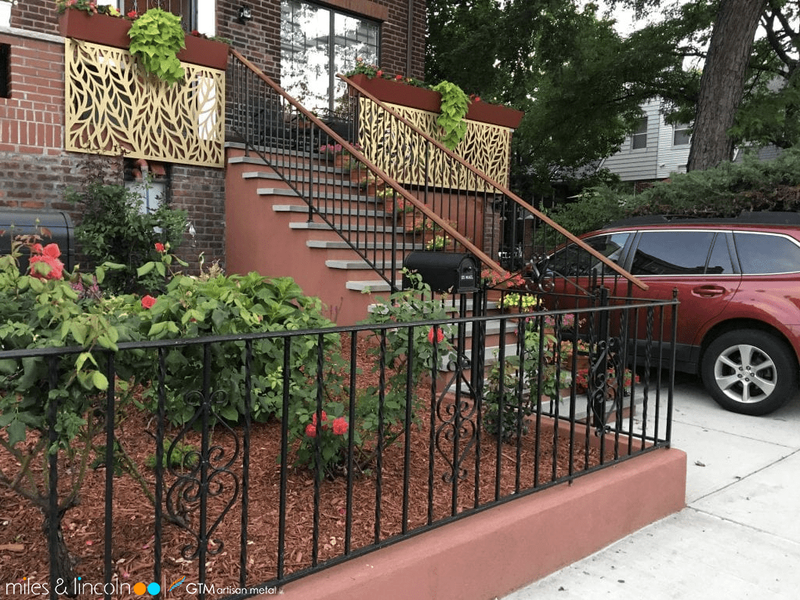 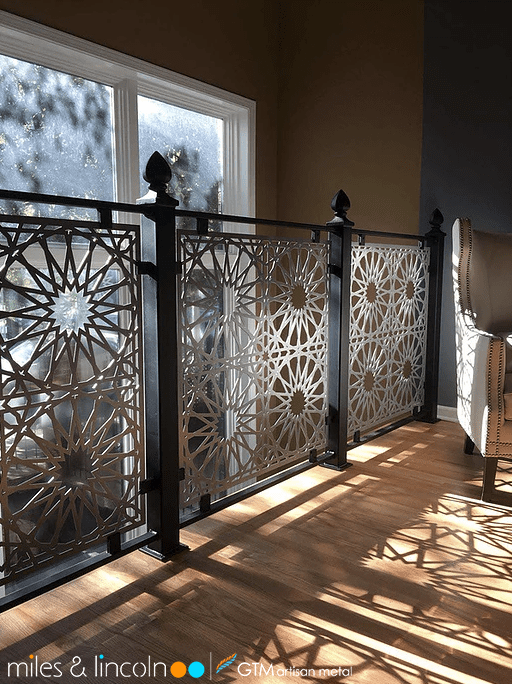 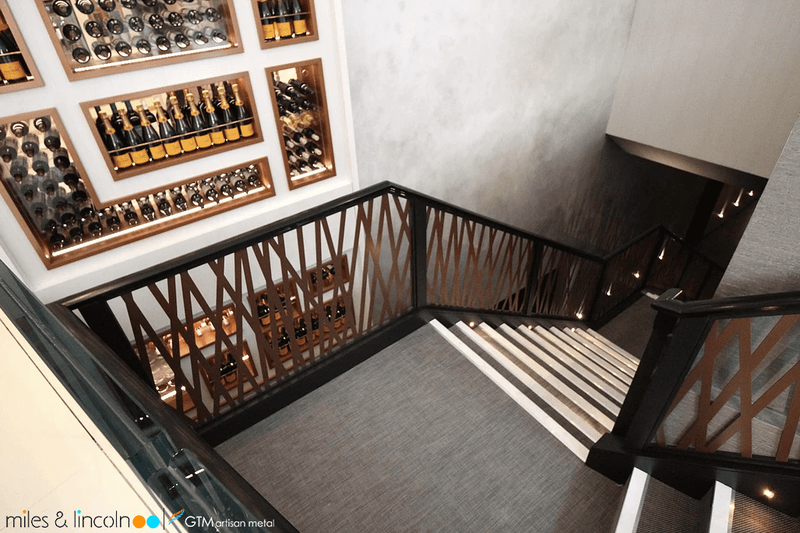 Laser cut Balustrade infill panels offer an elegant solution for the restyling of staircases using existing handrails and posts. 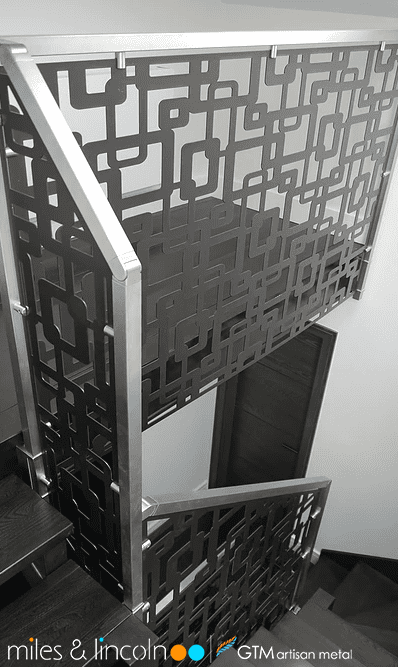 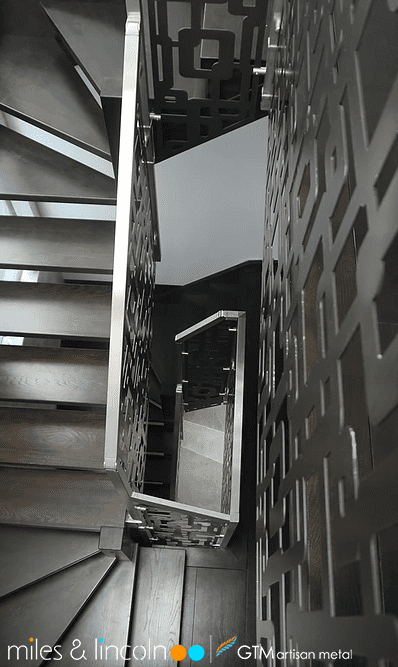 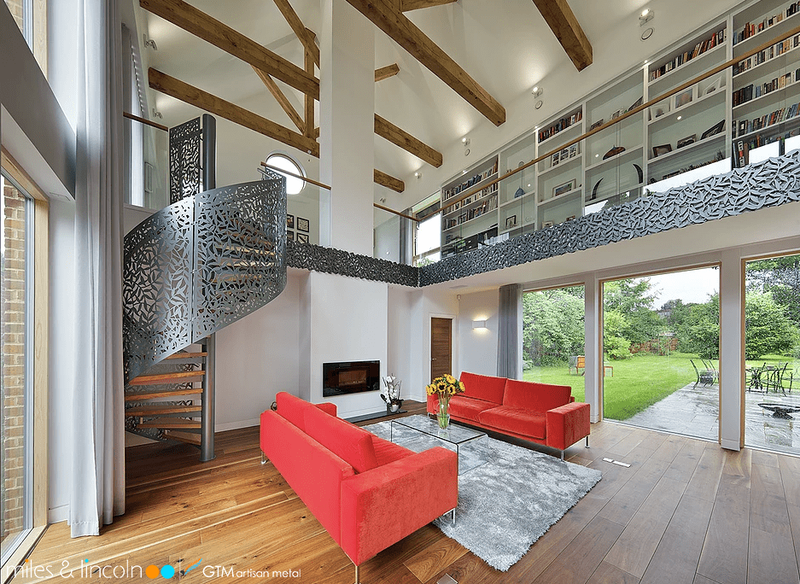 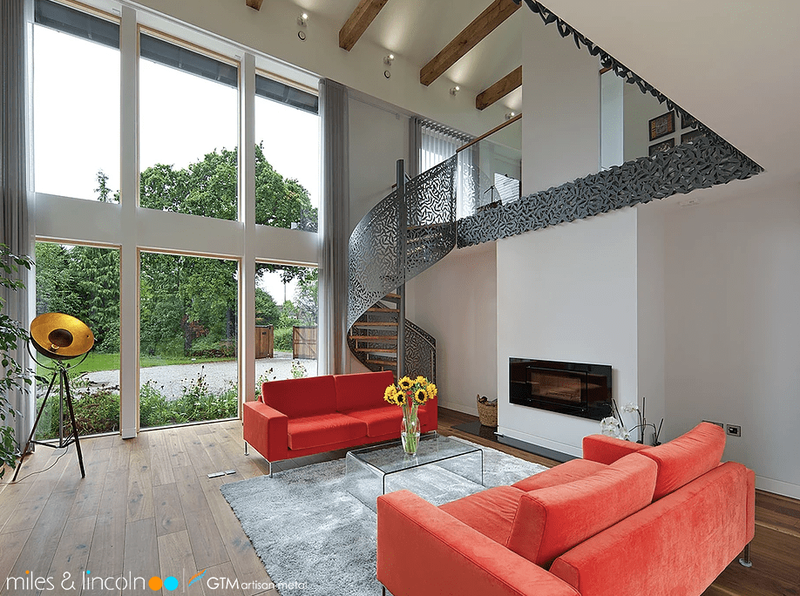 Infill panels can also be used in conjunction with ready-made metal tubular or timber systems for new staircases. 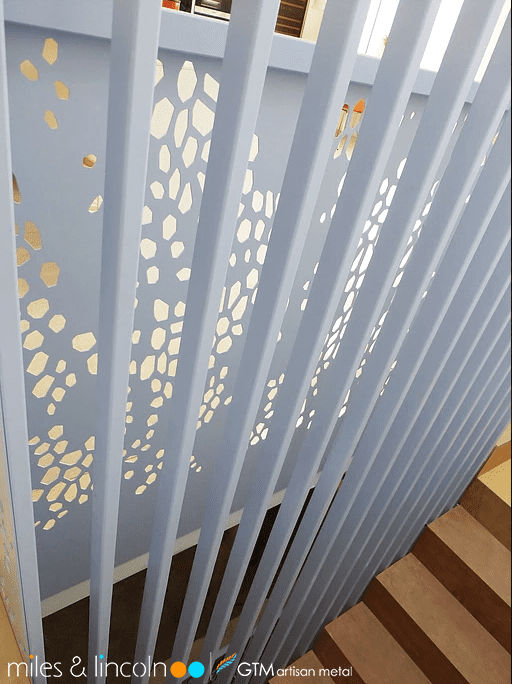 Installation is simple and fast. 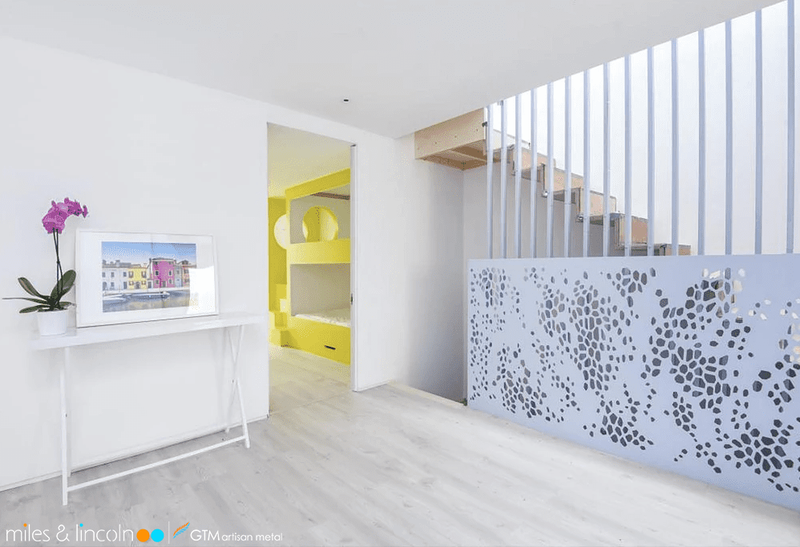 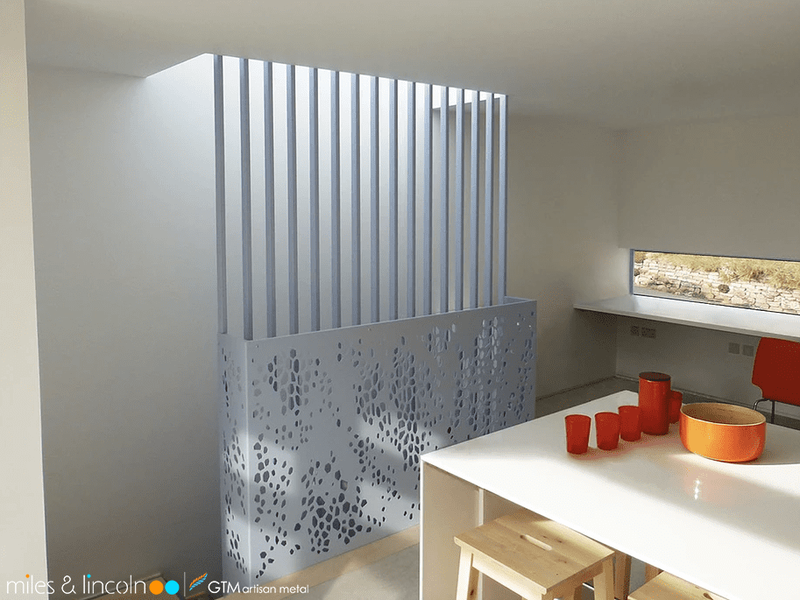 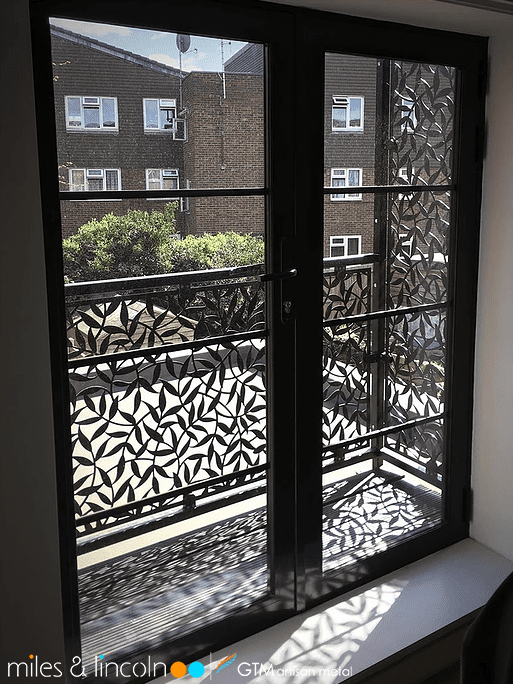 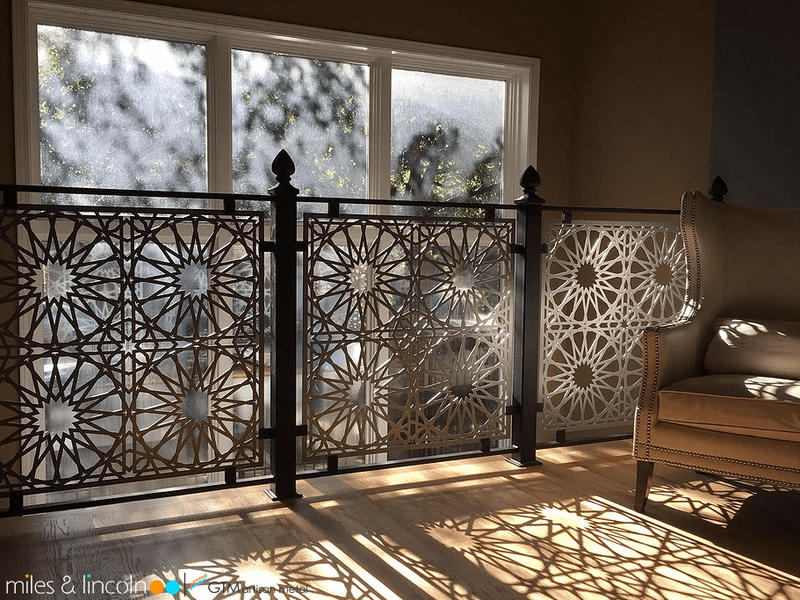 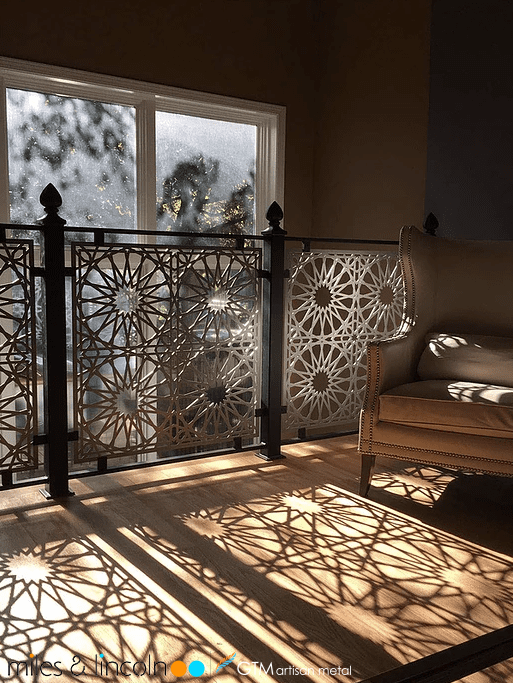 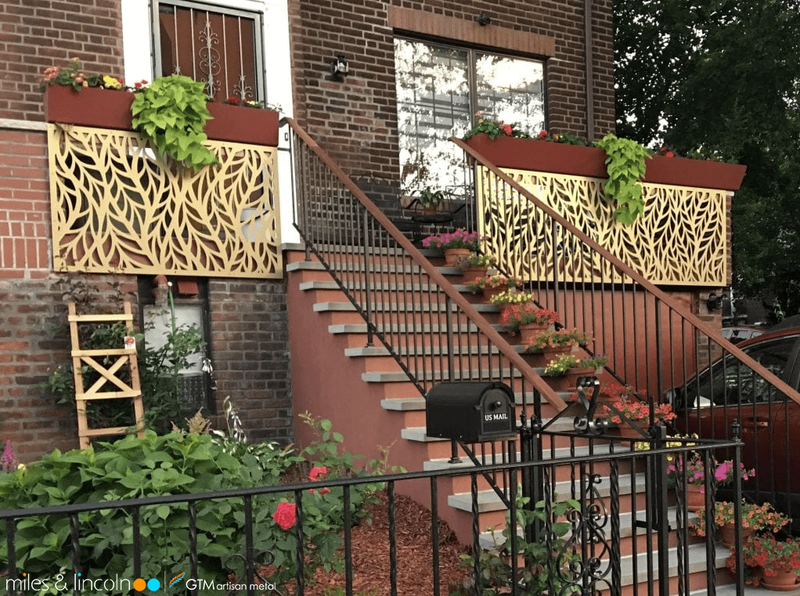 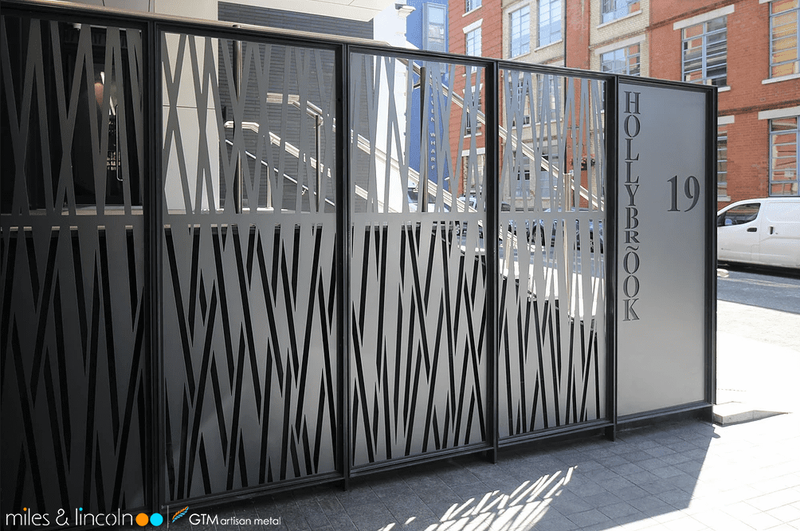 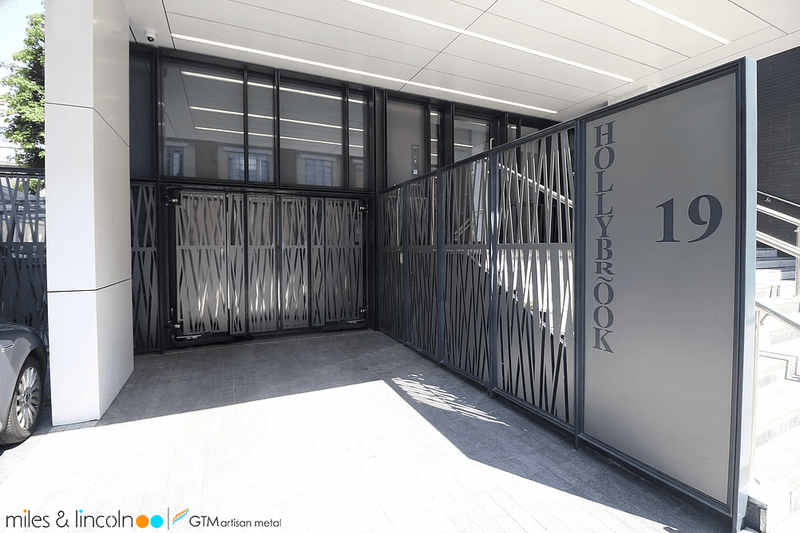 For external installations, laser cut screens can be used for Juliet and conventional balconies. 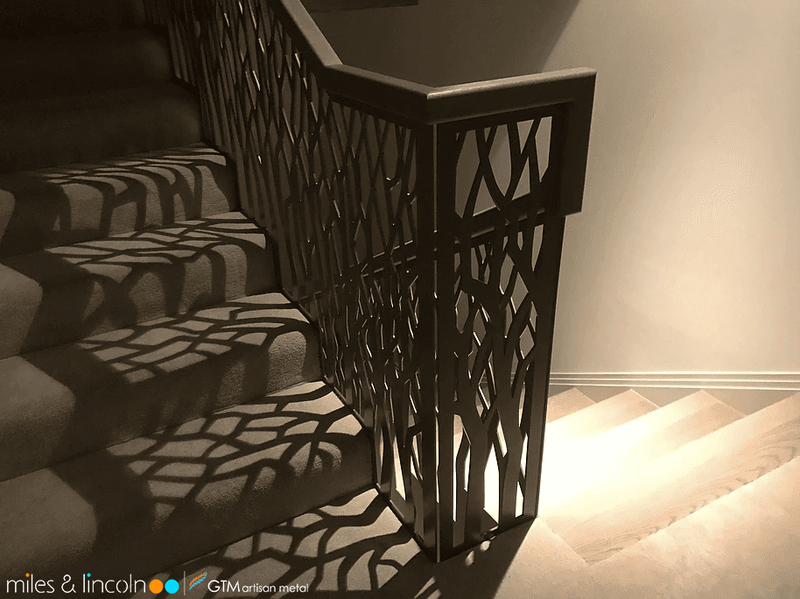 Laser cut balustrade finished in copper.